While waiting for the alpine areas in the mountains to be snow-free, we decided to spend more time at Siouxon, staying for three nights so we would have time to do more exploration. 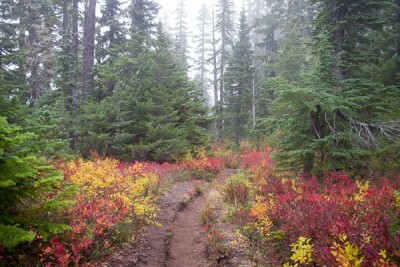 Grouse Vista is a southern trailhead for Silver Star Mountain. Better roads, same great views at the top. I can’t get enough of Siouxon, so I went again with two friends. This time, our campsite was near the Wildcat Trail. 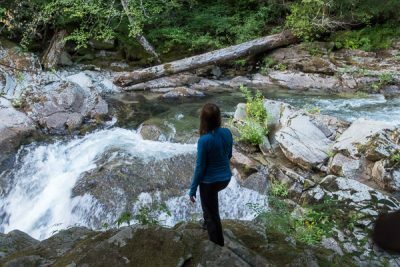 One of my favorite places is a hike through one of the greenest forests around, with the clear waters of Siouxon Creek next to the trail. 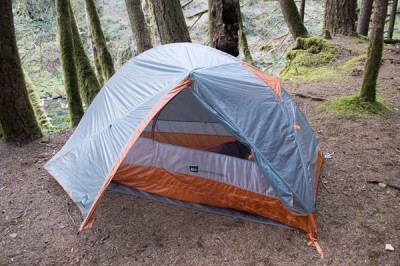 This is a good place for early season backpacking. 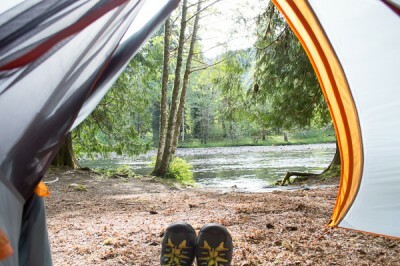 Two nights of backpacking with Meetup friends at Siouxon Creek. 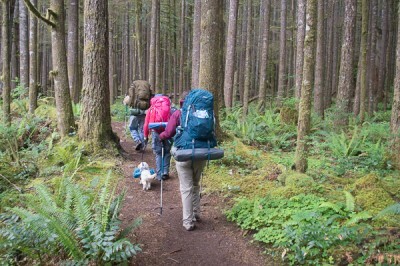 Backpacking in to the Bold Camp Shelter campsite, located next to the Lower Lewis River. Distance: 7.7 miles Elevation gain: 1,100 ft. Location: Southwest Washington, Gifford Pinchot National Forest One of my favorite hikes, the Siouxon Creek trail has plenty of sights: a lush forest full of moss and ferns, a crystal-clear stream with pools of emerald green water, and several stunning waterfalls.